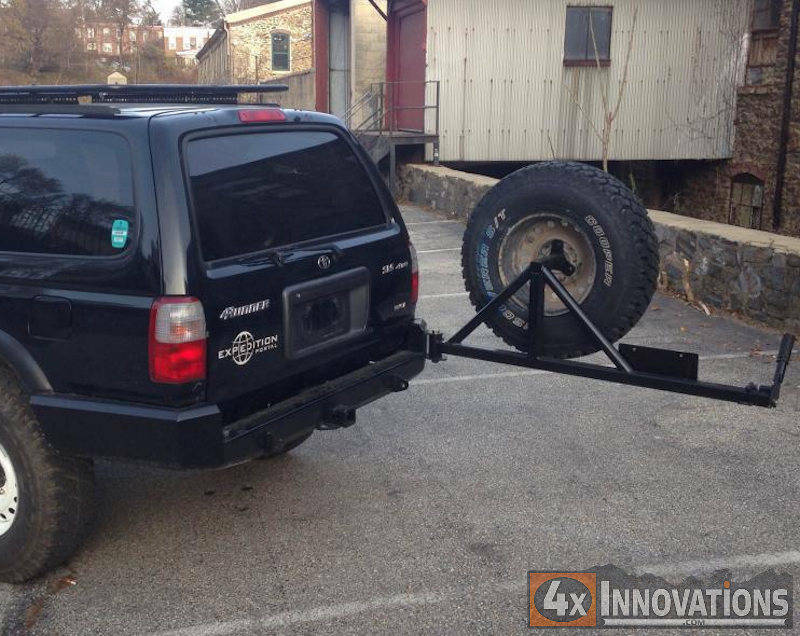 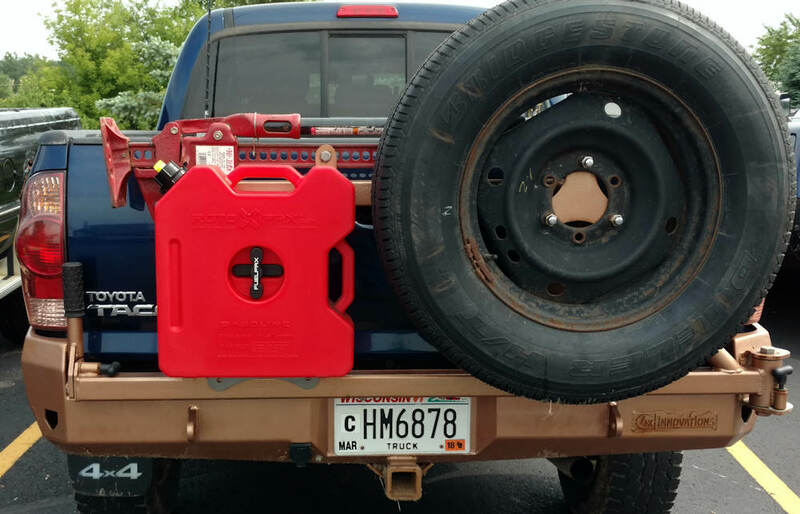 Weight 120 pounds for bumper, 66 to 116 for tire carrier without tire. 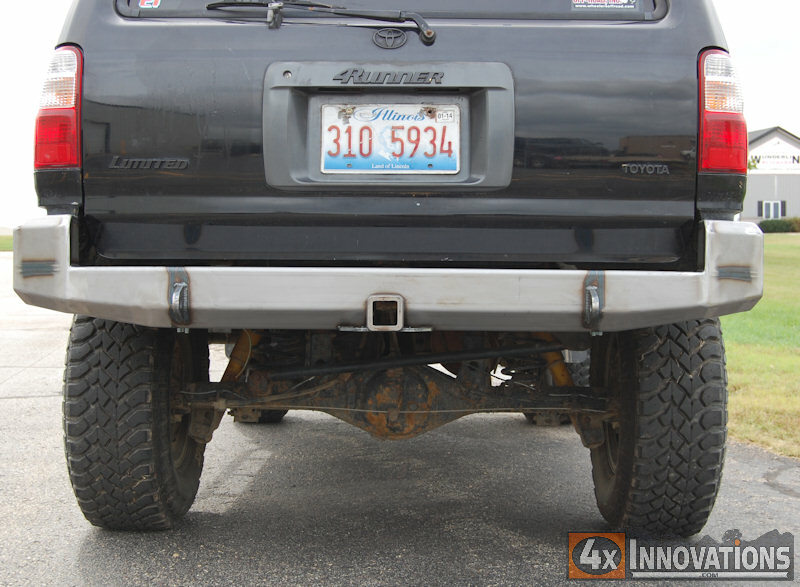 Protecting your rear end is just as important as the rest of the truck and the good people at 4x Innovations know that! 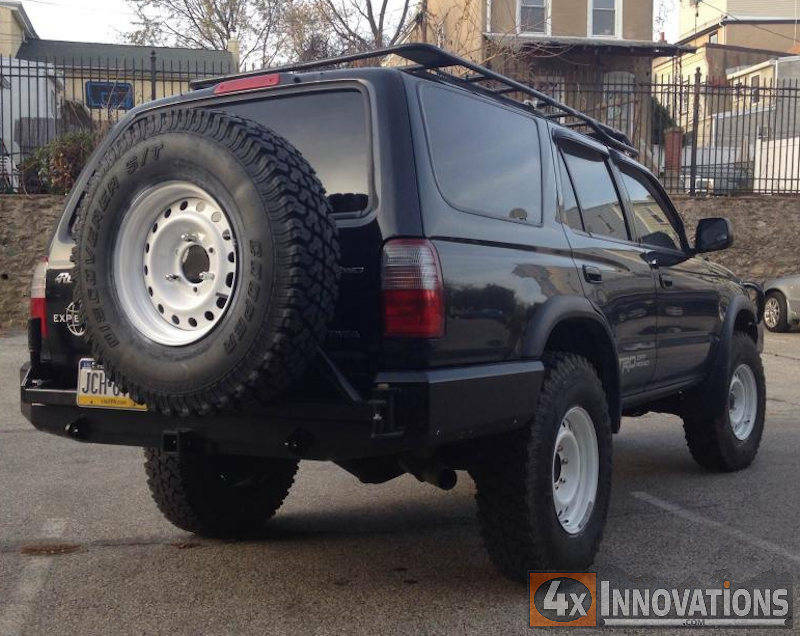 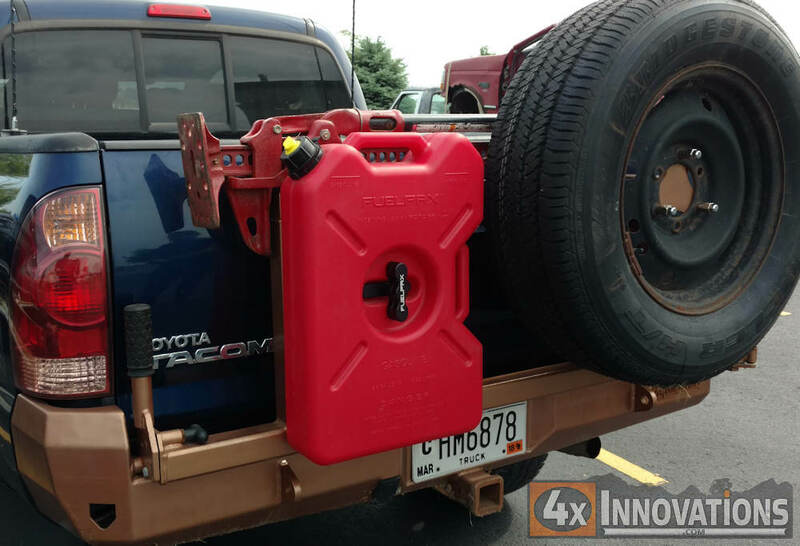 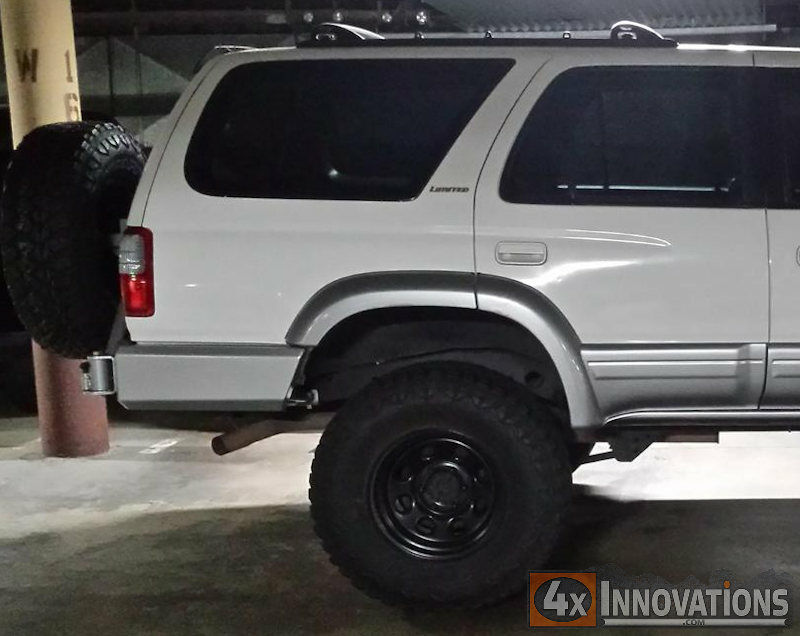 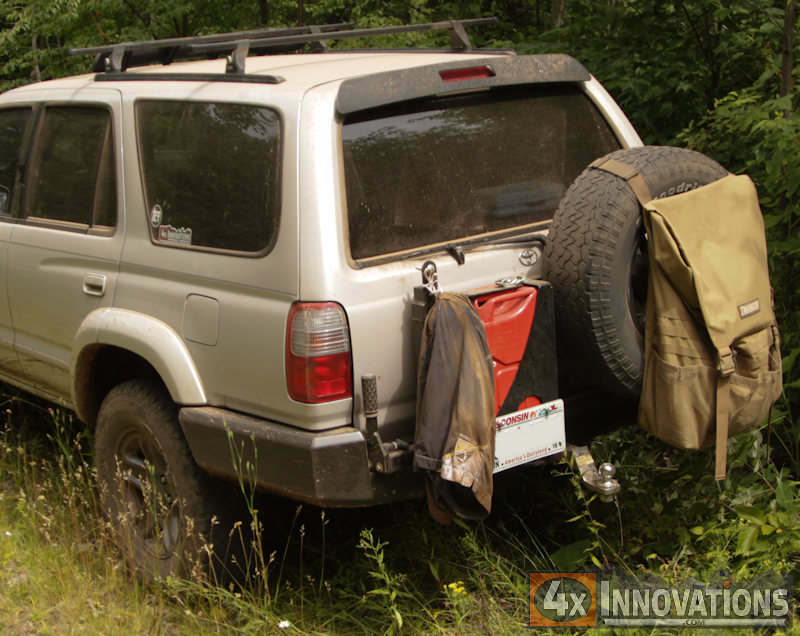 They have engineered this rear bumper to provide you the comfort and peace of mind you need while off the beaten path. 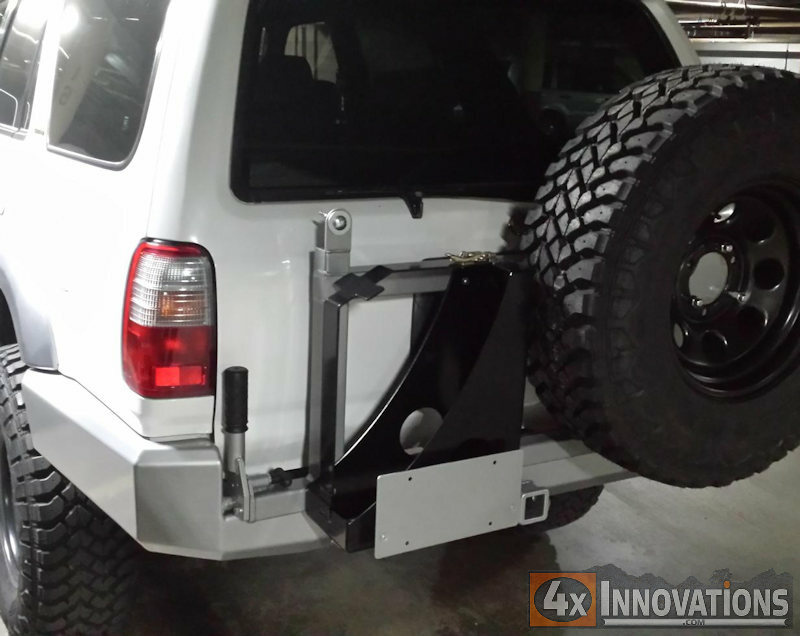 Starting with proven 3/8” high grade steel mounting plates this bumper has the strongest mounts available. 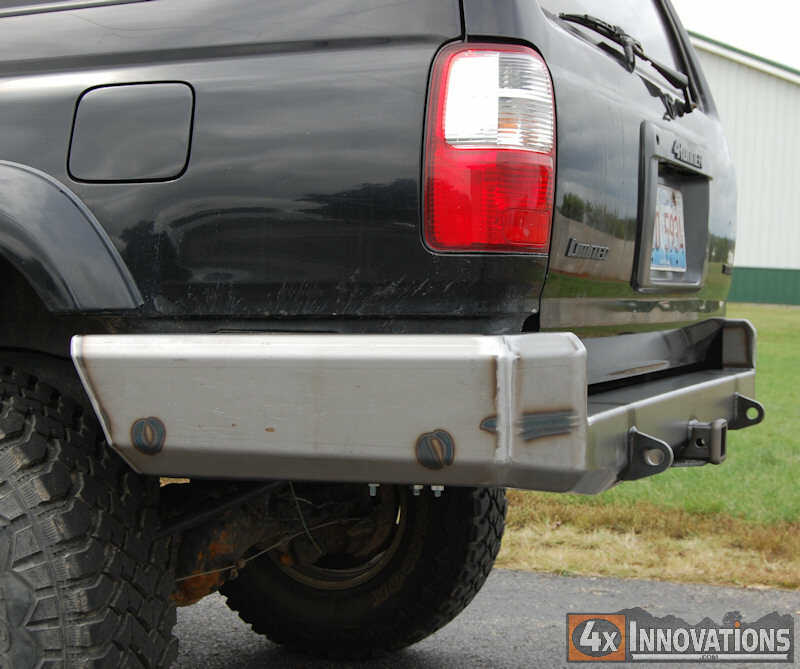 The main bumper is high grade 3/16” steel plate. 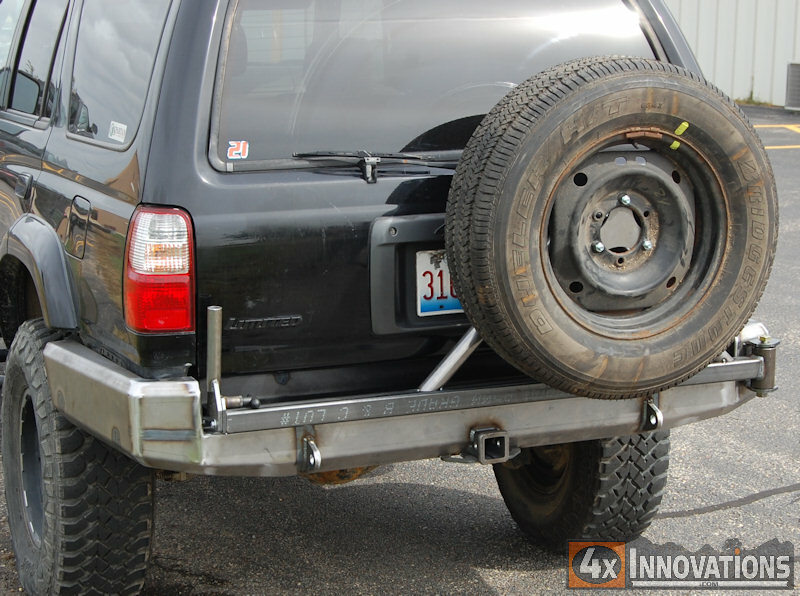 Two ½” thick recovery shackle mounts are interlocked into the main bumper and fully welded directly to the main mounting plates. 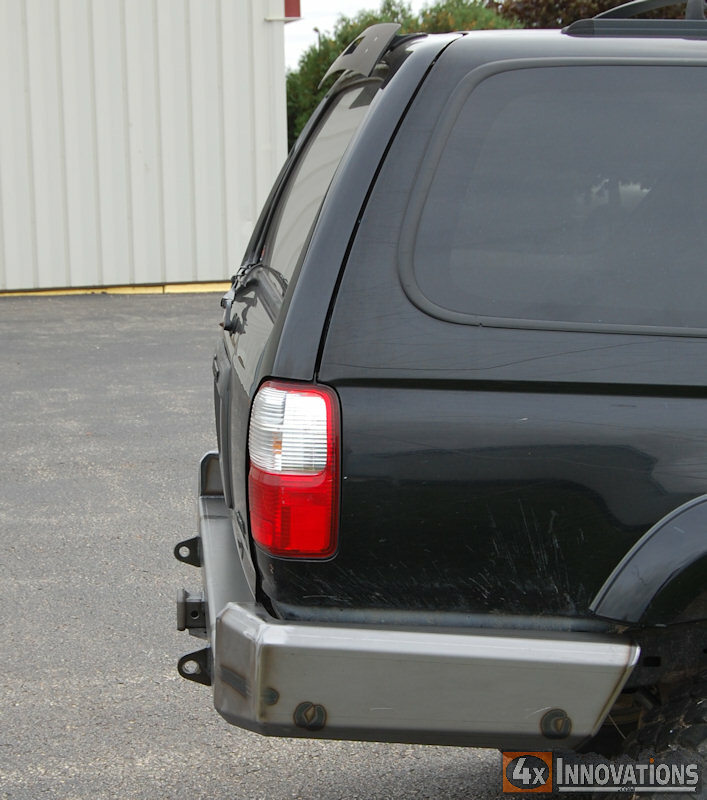 We know your departure angle is important to you, and this rear bumper is designed with a great low profile for maximum clearance. 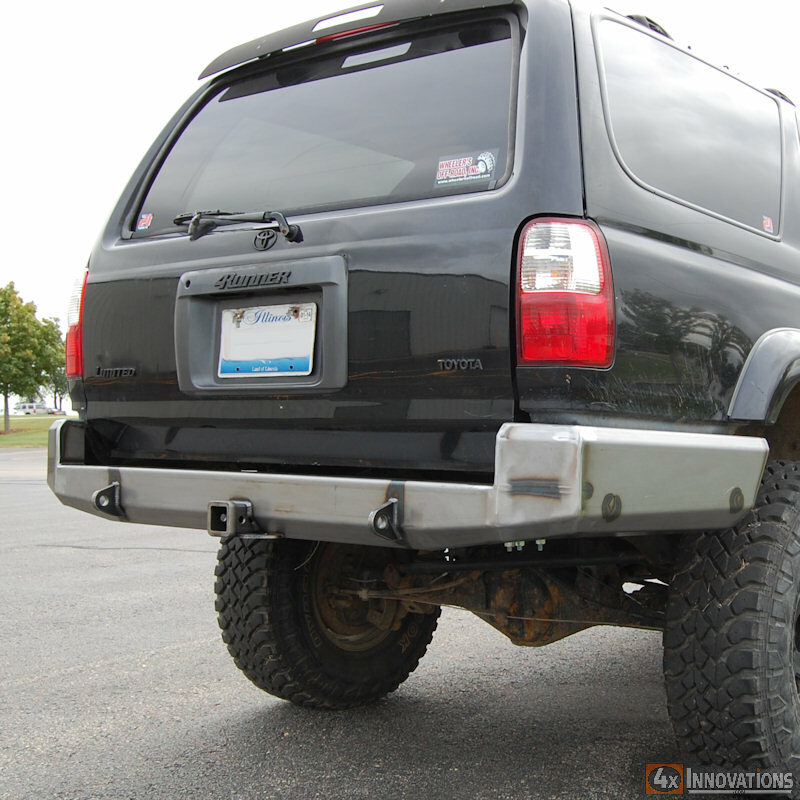 Bumpers are fabricated at our own facility in Wisconsin from American Made Steel. 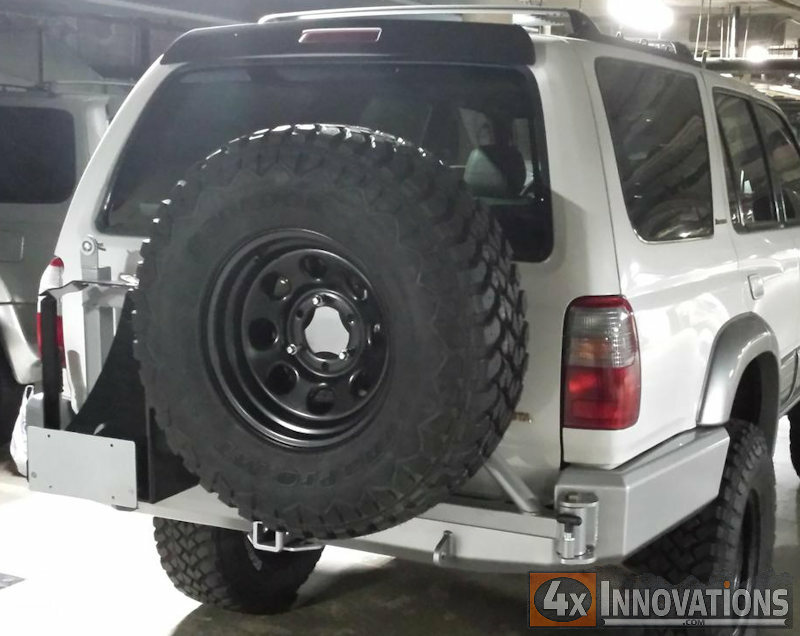 Bumpers bolt directly to the frame using factory bumper mounting holes, New grade 8 hardware is included. 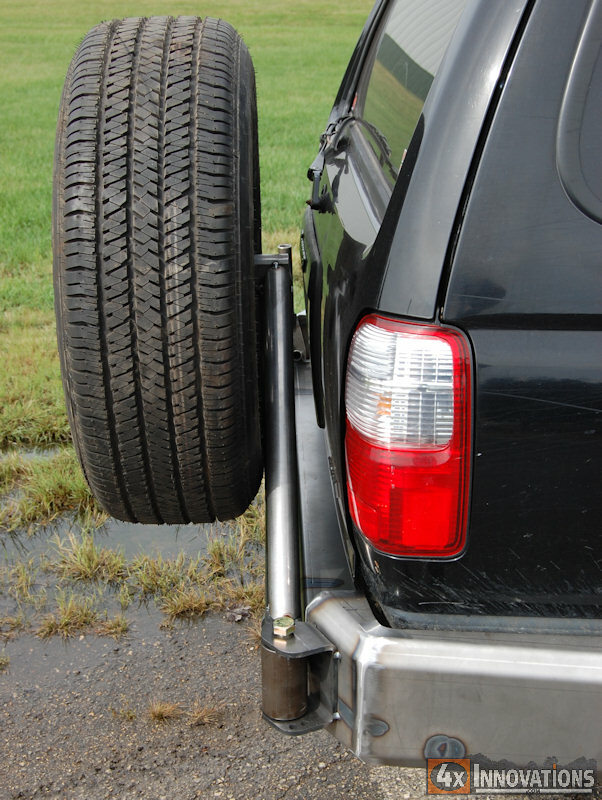 Bumpers ship bare steel to save you big money on handling and shipping fees!